They don’t make Towers like this one any more. Although it was built in 1855, some parts of it feel almost medieval. The main entrance is at first floor level, through a simple doorway. See the steps to the side? They really do bend like that. The reinforcing steels have begun to corrode and the steps have cracked half way up. 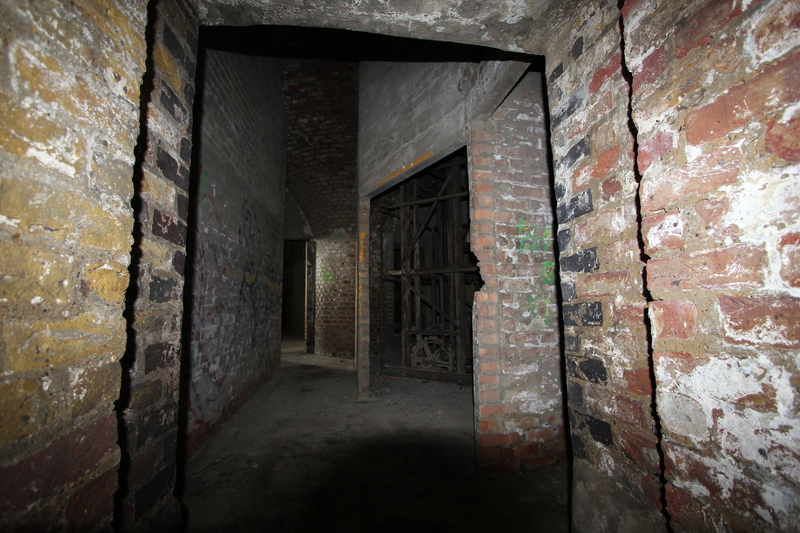 Taking a peek inside the entrance revealed dank, dark passageways, stretching off into who knows what. When we had walked up the causeway to the tower we saw fresh footprints in the sand. Was anyone else in here? The answer was no, but for a while we wondered. 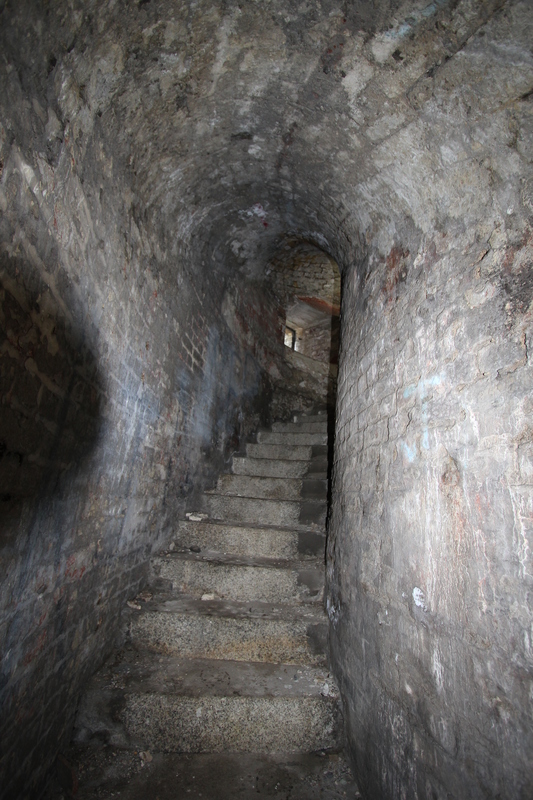 Some of the curved passageways and staircases were dripping with atmosphere – you could scrape it off the walls! It was intensely enjoyable to explore such a magnificent structure! 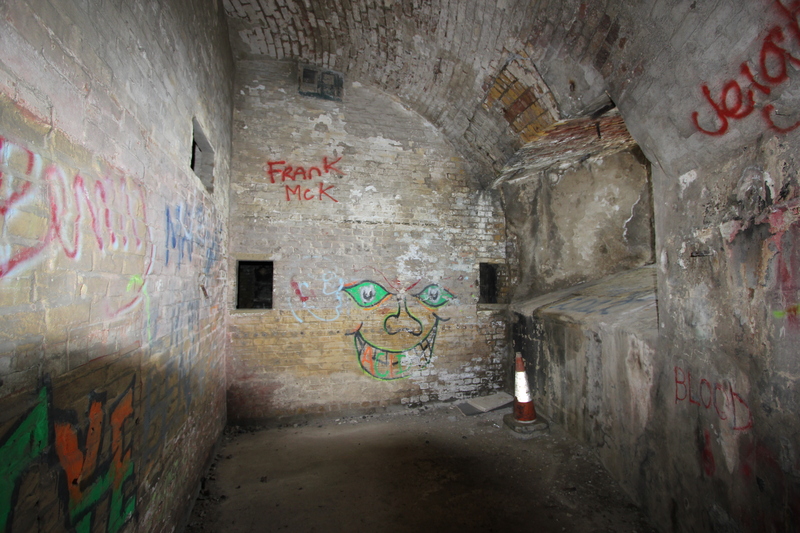 Even the graffiti seemed to be enjoying itself. As we wandered through the tower we saw the shell hoist was still in position. Many of the walls were curved to complement the round walls of the tower. 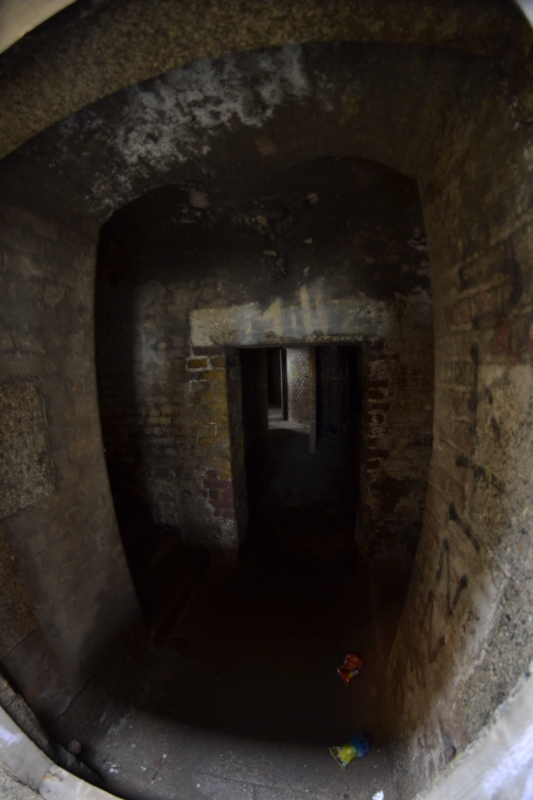 In the middle of the structure the central pillar supporting the roof fanned out at its top in a similar manner to those found in the Martello Towers. You can just see it behind the shell hoist. 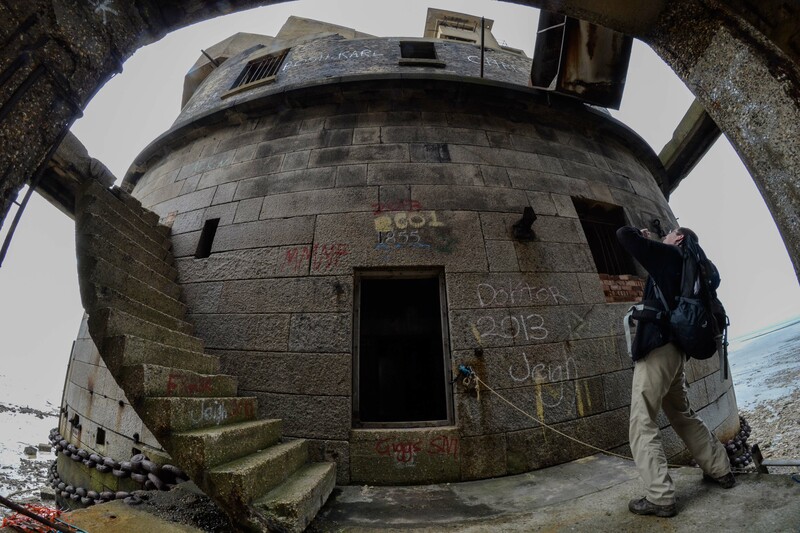 This entry was posted in Kent and tagged coast, exploration, grafitti, Grain Tower, Isle of Grain, Kent, travel, walking. Bookmark the permalink. Looks an interesting place. Are you aware the tower is currently advertised for sale? Yours for half a million – although you do get the address “1 The Thames” ! Yes I saw! Some parts of the tower are falling into quite significant disrepair now, so a buyer who is going to spend some money on it would be good. Equally, though, that would mean it will be refurbished in some form or another, or possibly adopted by the Council. And at that point access such as we enjoyed will no longer be available; one of the great coastal exploration adventures will be gone.